North East India, seven North Eastern States' India is an anti-India. Between Tibet and Bengal, the aboriginals, the 'adivasi', are a majority, unlike in the rest of Indian Union. And Manipur, one of the 'seven sisters' States, organizes a celebration every year in spite of a war which devastates the State. Or maybe because of this war. In September, Manipur commemorates the political activist Hijam Irabot (1896-1951). On Saturday, the 30th of September 2006 were planned a floral tribute in Irabot's birth place village and a meeting in Imphal (Manipuri capital), Kishworjit Singh, joint commissioner at Manipuri Arts and Culture Department, explains. Several associations take part to the celebration. Among them the MAFYF (Manipuri Forward Youth Front) directed by Sampacha Kangleipal. But in Manipur it is not exactly a time of joy. Twenty insurgencies are fighting the Indian army since 1958. The annual appointment helps to dream about a Manipur which would be united by its past ' not by its present or future. MAFYF leader is optimistic: relations 'are not difficult' between Hindu Meiteis (an important comunity in Manipur) and mainly Christian Naga people: 'I am sure, Kangleipal asserts, that hundreds of Nagas will come to the celebration places and dance'. Kangleipal concedes however that 'some ambitious political leaders' want to poke up hatred between Meiteis and Nagas. In reality, there is some mistrust between these two tribes: some Manipuris believe that Delhi favors the Nagas (a truce is prevailing between Naga insurgency and Indian armed forces since 1997) against Manipuris. But the MAFYF won't spoil the party. Irabot remains nevertheless an interesting man. This Bollywood style person ' he was born poor and got married to a niece of the maharajah of Manipur ' can be described as a left wing patriot. He started to act in politics in 1937, combined with marxists and demanded land ownership reform in his country. This commitment sent Irabot to jail and gave him the nickname 'Jananeta', people's leader. During World War II, Japanese forces occupied Manipur and Irabot had to flee. 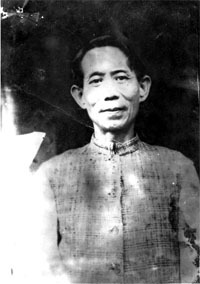 He came back to Manipur in 1946 and was obliged to hide after 1948, as he was persecuted and some of his supporters were killed. As a friend of the communists, Irabot founded rural communist small sections in 1949. Some of these small sections have started a guerrilla (which still goes on). Irabot found shelter in Burma's jungle, and typhus carried him away in 1951. To summarize, Manipur cannot leave Irabot (or his image) in the hands of the insurgents. Hence the idea to ritualize Irabot's aura. To succeed, it is necessary to create a partly true image of Irabot: in 1948, Hijam Irabot did not want Manipur to enter Indian Union. In Imphal, this aspect of Irabot would not be celebrated; the State governor would not agree. The nationalist is re-painted and re-invented as a regional hero, a people's friend. Thanks to ad hoc safety forces, young boys and girls wearing red shirts, khakee shorts or skirts will enter today Imphal Sports Ground. And MAFYF's enthusiasm is compulsory. Moreover, in 2006, local authorities hide the 60th anniversary of Irabot's 'come back' in politics (and the following insurgency), an inconvenient jubilee. Irabot celebration will have to be very bright: by next year, 2007, there will be the 60th anniversary of Indian independence. This jubilee risks to prevent Manipur from celebrating Irabot as in 2006. And to speak about North East India... Assamese people will maybe remember the dismantling of their former kingdom ' dismantled to create four out the seven sisters' States. Finally, something sure. To exaltate Irabot's memory does not solve any conflict. It is not possible to avoid a crucial issue: North East India's future. The violent and tragic events in Manipur, Assam, Nagaland remind us that India has not yet completed its unity ' that India has not yet established its 'natural' borders. It is not the time to wonder whether a balkanization of North East India happens or not ' but when it happens, and how. If one imagines four secessions ' Assam, Tripura, Nagaland and Manipur reaching sovereignty -, would rival neighbors (Burma/Myanmar, China) invade this hypothetical new states, destroy their short-lived liberty and change the geostrategical situation of the area ? Will North East India burn as former Yugoslavia in the 1990s ? On this hypothetical day, Irabot's picture covered with too much fingerprints won't be useful. 'He was a pioneer for everything', MAFYF's president explains. So, the area will see new pioneers... maybe female pioneers, because of the women activists seeking appeasement and peace there. Irabot's most appropriate location ' he has been too much used 'post mortem' ' is in history, or in the folklore section. No longer in politics. This Irabot celebration must come to an end.